“My eyes widened,” says Wang. As the Chief Technical Officer for The Sky Guys, a company that specializes in drone services, pilot training and R&D, Wang is responsible for developing new technical capabilities whenever a client needs them. 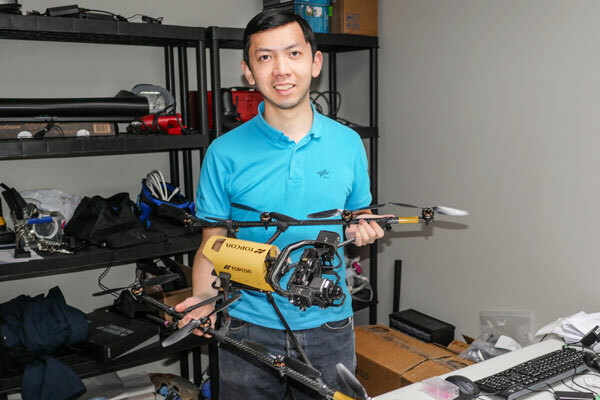 Wang knew that building a drone capable of Light Detection and Ranging (LIDAR) — a system that uses lasers to create 3D maps for surveying, construction and other applications — would be critical to the young company’s success. But the timing was tight. “Three weeks could be the lead time for the parts alone,” he says. With winter weather that could complicate the test flight fast approaching, Wang realized his only chance was to design a drone that could be built using ready-made, off-the-shelf parts. Twenty-one days and countless cups of coffee later, Wang’s team completed the project, finishing a mere eight hours before the scheduled launch. 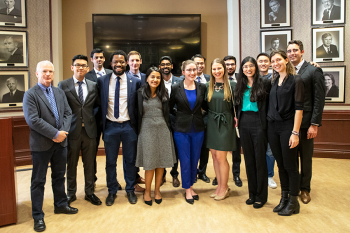 The story is just one example of the transformative learning experiences made possible by U of T Engineering’s Professional Experience Year (PEY) internship program. 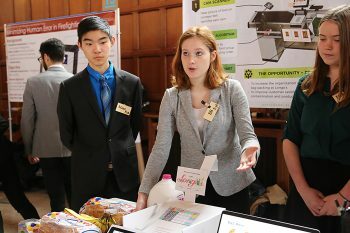 For nearly 40 years, the initiative has connected talented students with innovative companies looking to benefit from an influx of energy and new ideas. The paid internships — with an average salary of more than $47,000 per year — take place after second or third year and last 12 to 16 months. 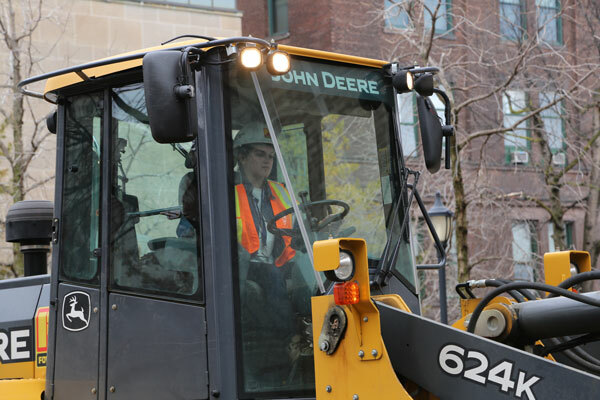 In 2016-2017, more than 730 U of T Engineering students were hired on PEY internships, including 65 placements outside of Canada. Employers range from local startups to major global corporations such as Apple, General Motors and Shell, as well as hospitals, universities and governments. Wang credits U of T Engineering with preparing him to succeed. He cites the opportunities he has had to launch his own company through The Entrepreneurship Hatchery and develop leadership abilities as the executive director of the University of Toronto Aerospace Team. His PEY internship is, he says, the ideal next step on his journey. More than 330 employers sought PEY interns this year, but for Lim, one really stood out. “I wanted to work at teaBOT because I wanted to be part of something that had a consumer-facing, everyday application,” she says. 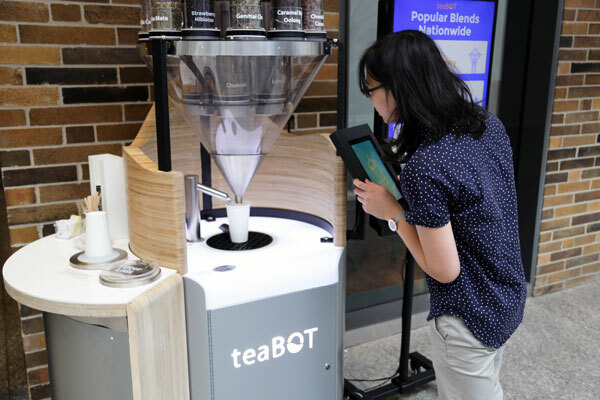 TeaBOT makes vending-machine-sized robots that deliver custom cups of loose-leaf tea via a mobile app. The company was co-founded by Rehman Merali, a PhD student at the University of Toronto Institute for Aerospace Studies, and is rapidly expanding across North America. While her courses provided a good foundation in the technical aspects of her work, Lim says the internship has given her a better sense of how customers will interact with a product. Wen is spending a year in Zurich working for Verity Studios. Founded by alumnus Raffaello D’Andrea (EngSci 9T1), Verity Studios uses autonomous flying robots to create memorable performances for live events and stage productions. 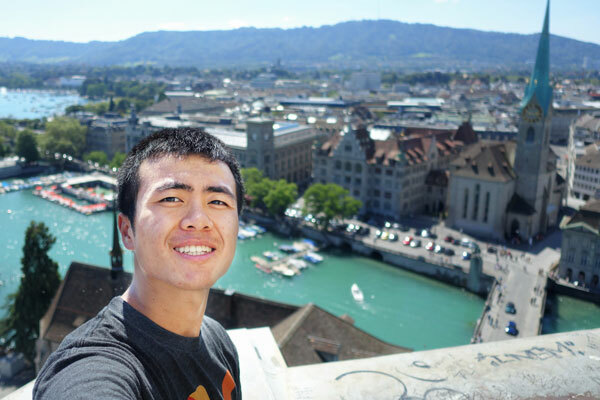 “I wanted to work in a startup environment, although the fact that it’s in beautiful Switzerland doesn’t hurt,” says Wen. After his PEY internship is complete, Wen plans to return to TeleHex, a company he founded with support from The Hatchery at U of T Engineering. “This experience has made me realize that I love working in small companies where I can do a little bit of everything,” he says. Paige Clarke (Year 3 MinE) — Vale Canada Ltd.
For her PEY internship, Clarke chose to take a position in Thompson, Man., home to the nickel extraction and refining operations of Vale Canada Ltd. In her role as a Mines Engineering Co-op Student, she designs and plans drilling, blasting, loading and filling operations. Clarke says that the community where she works is just as memorable as the job itself. “I volunteered for the local Terry Fox Run and have been taking advantage of the recreational opportunities that are not so accessible in Toronto,” she says. That includes hiking, snowshoeing, skiing, not to mention helping her neighbours dig their cars out after a recent mammoth snowfall. After graduation, Clarke plans to continue working in mineral extraction. Her PEY internship will be an invaluable addition to her resume. 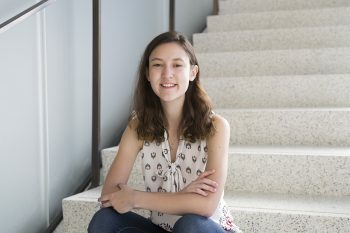 “Working for a full year rather than a four-month summer term allowed me to make an important and meaningful contribution,” she says.